If Oklahoma State, and not Oklahoma, had Trae Young in its backcourt, then it would be the Cowboys getting an at-large bid and not the Sooners. You can bet the NCAA was thrilled that the three letters most talked about in regard to college basketball on Sunday were RPI and not FBI. College basketball is more than happy to endure debates about the worthiness (or lack thereof) of teams that make the tournament. That’s a much more palatable conversation than the worthiness and workability of the amateur basketball model. The nation’s yearly crash course in college basketball has begun, but this year you have to hold your nose to fill out your men’s NCAA Tournament bracket with the sport roiled by an FBI investigation that has punctured the willful suspension of disbelief that is part and parcel of enjoying college athletics. It’s a bit harder to get psyched up about who will be cutting down the nets in San Antonio on April 2 when the sport has been undercut by a criminal investigation that has exposed the unseemly side of how the college basketball sausage gets made. We all knew it existed, but it’s no fun to have it thrust in your face. Indignation over the composition of the 68-team field beats indignation over college basketball’s built-in broken moral compass. Arguing the tournament case for teams like Oklahoma or Syracuse is preferable for the game’s power brokers to arguing about the credibility and legitimacy of major college basketball’s way of life. The NCAA Tournament is the crown jewel of the NCAA, which topped $1 billion in revenue for the first time last year. It can’t afford to have the tournament tainted or devalued by ethical reservations. It can’t have The Bracket overshadowed by the amateurism racket. Perhaps, it was just a coincidence that bubble teams that were ensnared in the FBI investigation were left out of the field by the selection committee. Louisville is alleged to have plotted to funnel funds to recruit Brian Bowen, using the sneaker company Adidas. The scandal ended the Louisville career of Rick Pitino. Both Oklahoma State (Lamont Evans) and USC (Tony Bland) had assistant coaches indicted by the FBI on bribery and wire fraud. USC (23-11) missed the tournament despite an Almighty RPI of 34. Oklahoma State (19-14) had more wins and momentum than sputtering Oklahoma (18-13), which it beat twice in three tries, and swept Midwest No. 1 seed Kansas. Arizona (Emanuel Richardson) and Auburn (Chuck Person) also had coaches indicted, but those teams were tournament locks after winning regular-season conference titles. Plus, Arizona earned an automatic bid by winning the Pac-12 tournament. The buzzwords for this year’s tourney are (illicit) payouts and parity. Putting the former aside and focusing on what will happen on the court, this is anybody’s tournament. The two favorites are probably Virginia and Villanova, the No. 1 seeds in the South and East regions, respectively. The teams play contrasting styles. With its relentless Pack-Line defense and bump and grind pace, the Cavaliers are college basketball’s answer to a root canal. They led the nation in fewest points allowed per game (53.4) and in adjusted defensive efficiency (84.4 points per 100 possessions), according to kenpom.com. The top-ranked team in the nation and the NCAA Tournament’s No. 1 overall seed, Virginia has been the best team from start to finish. The Cavaliers have college basketball’s new Brad Stevens in coach Tony Bennett and strong guard play with sophomores Kyle Guy and Ty Jerome and fifth-year senior Devon Hall. Villanova led the nation in points scored per game (87.1) and adjusted offensive efficiency (127.4 points per 100 possessions). Coach Jay Wright’s team scores like the Philadelphia Eagles in Super Bowl LII. ’Nova had six players average double-figures this season. It’s led by a pair of juniors — Jalen Brunson, the son of Salem High legend and former NBA player Rick Brunson, and silky smooth swingman Mikal Bridges, who has the look of a lottery pick in the NBA Draft. It seems like a safe bet the Wildcats will be venturing to TD Garden for the East Regional, which starts March 23. There are plenty of other teams that are capable of being the last team standing, scissors in hand, at the Alamodome. Aforementioned Arizona has the potential No. 1 pick in the draft in big man Deandre Ayton, whose name was connected to the FBI investigation when ESPN reported wiretaps caught ’Zona coach Sean Miller discussing paying him six figures to attend Arizona. Duke has as much talent as any team in the country with graybeard Grayson Allen and fabulous freshmen Marvin Bagley III, Wendell Carter Jr., and Gary Trent Jr., but defensive deficiencies have beguiled the Blue Devils all season long, forcing Coach K to go to a zone defense. That’s hoops heresy. The Midwest qualifies as the Group of Death with Kansas as the top seed, Duke as the No. 2 seed, and Michigan State as the No. 3 seed. Kansas is to the Big 12 conference what the Patriots are to the AFC East. They just keep winning it, 14 straight years. The Spartans are dangerous, led by do-everything forward Miles Bridges, who passed up being a high first-round pick to return for his sophomore season. You can’t rule out either of last year’s national title game combatants, North Carolina or Gonzaga, both of which are grouped in the West Region. The defending national champion Tar Heels have elite upperclassmen in point guard Joel Berry II and forward Luke Maye. Gonzaga broke through its glass ceiling last year, advancing to the Final Four for the first time. Key contributors Johnathan Williams, Killian Tillie, Josh Perkins, and Silas Melson are all back from a team that came up just short. It wouldn’t be a Selection Sunday if we didn’t get a yearly reminder of the Power Conference bias the committee holds dear. Middling major teams get the nod over mid-majors that excelled all season like Saint Mary’s and Middle Tennessee State. This year’s poster children for the undeserving are Oklahoma and Syracuse, which didn’t deserve to dance over fellow Atlantic Coast Conference member Notre Dame. Oklahoma (8-10 in conference play) lost eight of its last 10 games and 11 of its final 15. The Sooners haven’t won away from home since the calendar flipped to 2018. 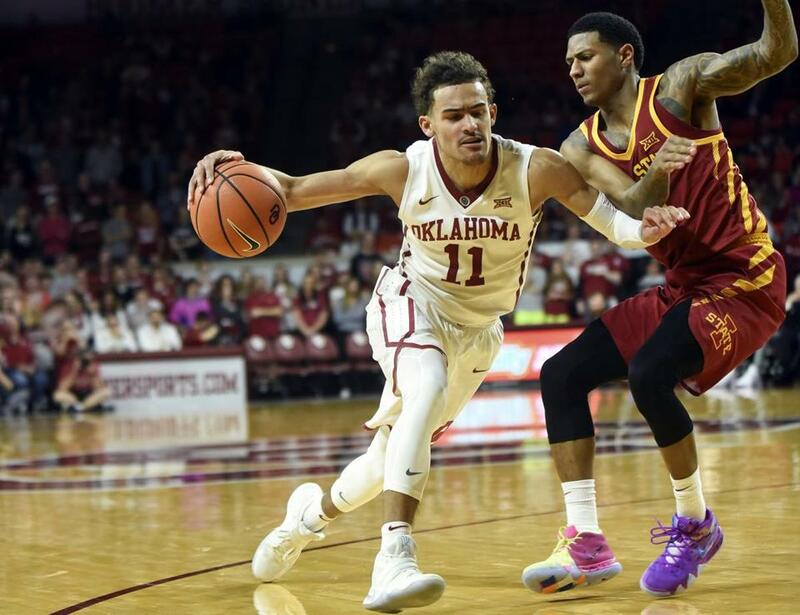 The only thing that got Oklahoma into the tournament was Trae Young, who led Division 1 in points per game (27.4) and assists per game (8.8). Young’s entertainment and “It” factors won out. The committee will never admit that. But it was Young’s brand recognition that got Oklahoma into the tournament, not the Sooners’ suspect body of work. If there is basketball justice, Rhode Island will take Oklahoma out in the first round. But the keepers of college basketball will be more than happy to have folks investigating the hazy logic of tournament snubs rather than discussing the FBI investigation that has cast a cloud over the sport. Christopher L. Gasper can be reached at cgasper@globe.com. Follow him on Twitter @cgasper.